Riverpool Records and The PondHawks announce the release of their new single, "River Grove." How many cities have their very own song? The town of River Grove, a suburb of Chicago near O'Hare Airport, now does thanks to The PondHawks. The PondHawks have three albums out, two of which, "The PondHawks Have Landed" and "Blue Light," made the Top 10 Regional Albums of 2011 and 2016. "Blue Light" also made the 2016 Grammy ballot. The band's music is unique and refreshingly original. Novelli's vocals and Gracen's harmonies resonate with a blend that gives The PondHawks their signature sound. Gracen and Novelli are also poetic storytellers that can lyrically paint a picture tailored-made for the listener's imagination. Music critic, Tom Lounges of the Northwest Indiana Times describes their music as "a groovy psychedelic-pop progressive '60s sound with sparkling hooks." Alan Haber of Pure Pop Radio says, "This Chicago band is a melodic treat, melding retro and contemporary influences for a decidedly catchy listening experience." One characteristic of The PondHawks' music; no songs sound alike. Each has its own identity, but retains the inherent DNA of a PondHawks' song. What makes this band standout is their musical versatility that embraces multi-genres. 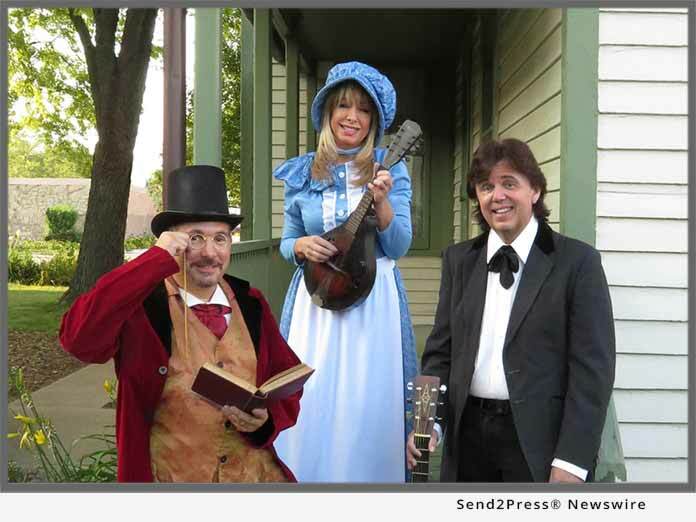 Their latest song, "River Grove," tells a story about the small pioneer town of 1888 that grew into the charming, bustling "village of friendly neighbors" that it is today. The once sparsely populated rural community, prospered from the railroad with an economic boost that helped it thrive. "River Grove" takes you on a magical journey to a place where those who lived, will always call home. The song describes with poetic imagery, the beauty, the warmth, and the closeness of its people. We discover the rich history that molded the town's glorious past into the modern day present. It is a place where dreams are possible and where life is well lived. Gracen and Novelli's exquisitely crafted words create an idyllic, universal hometown scenario that the listener can easily identify with.